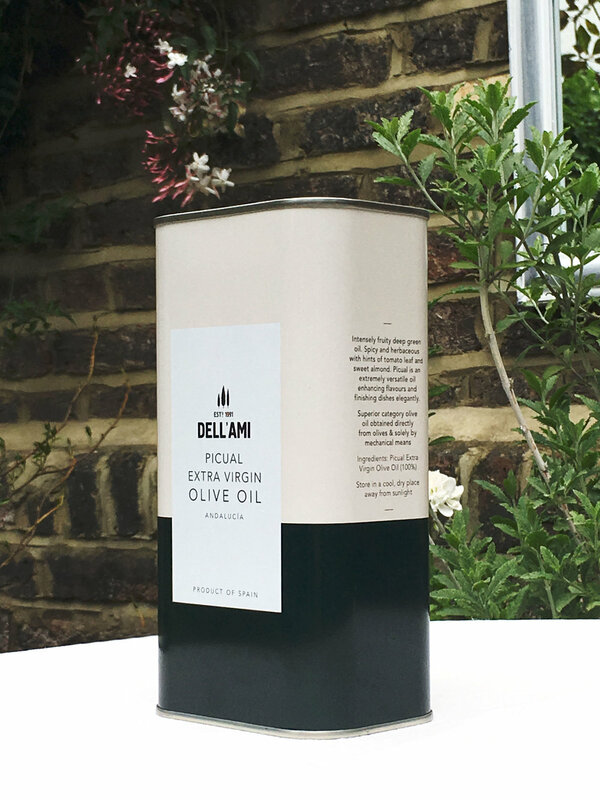 Once the Dell’ami identity had been updated and invigorated, we were able to focus attention on developing the packaging to reflect the new brand design. Drawing influence from contemporary Mediterranean design and architecture, the new clean aesthetic of the Dell’ami packaging range balances well with the confident identity. The range launches with their Picual and Arbequina Extra Virgin Olive Oils, cold milled in Andalucia.